Burglary with a Firearm is a Felony in Las Vegas, Nevada. If at any time prior to or during the commission of a Burglary offense you come into possession of a firearm you will be charged with Burglary with a Firearm. If charged, you would face 2-15 years in prison and a fine of $10,000. Burglary with a Firearm is considered a dangerous and violent crime, one of which the District Attorney will put forth all their effort and resources, to charge, convict and punish you accordingly. 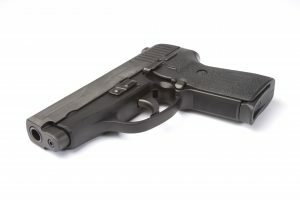 When charged with a felony in which a firearm was used, an aggressive defense is a must. Las Vegas Criminal Defense Attorney Michael A. Troiano will provide an effective and efficient legal defense to protect your rights.